Make fun faces, self portraits, storybook characters and wild animal masks! 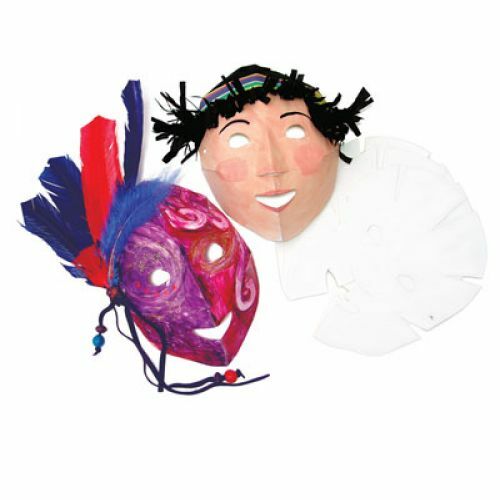 Masks come flat so they are easy to decorate with paint, crayons, stickers, craft paper or pencil crayon. Fold up and tape in place to make a marvelous 3-D mask. Use pipe cleaners to hold your mask in place. 8" x 10". Includes idea guide. 40 masks. Ages 4+.